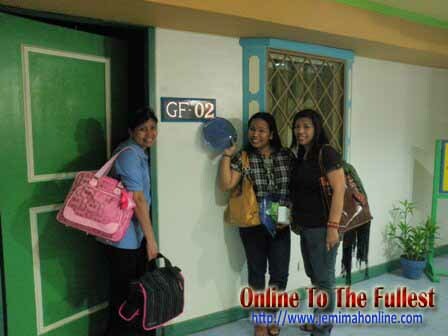 Finally, I met the blogger behind pinaymommyonline.com and it is none other than “Mommy Ruby” or “Mommy Rubz”. It was my first time to attend the Philippine Blogging Summit and it is already the seventh year of the event. Mommy Ruby arrived early at that event and we met her there, together with the other members of Pinay Mommies Community. Pinay Mommies Community members that I met there are Cielo of brownpinay.com (my good childhood neighbour), MaicelÂ of mommysjoyride.com , EihdraÂ of oneproudmomma.com, , Ning Buning of shygirlsown.info, Divine of hotfunstuffs.com and Mhel of justanotherpixel.net (she’s not yet a mom). I am so glad to meet Mommy Ruby the founder of Pinay Mommies Community. Pinay Mommies community was also supported with the help of Mommy Peh of pehpot.com, Mommy Willa of smart-mommy.net and Mommy Janet of peterjanet.com. At lunch time, Pinay Mommy Cielo, NingÂ and I accompany Mommy Ruby to UP hotel. We are all first timer inside the UP diliman so we ask the guard for the way. Thanks to Mommy Cielo for the ride. We travel from the Malcom hall to UP hotel. The security guard told us that it is only walking distance but we can also ride if we wanted. While we were on the way using Mommy Cielo’s private car to the UP hotel, since we did not know the exact way we keep on looking for the street name until we find ourselves routing the long way but we finally reach our destination. We almost rant complaining that it is not walking distance because of the long way that we have traveled. 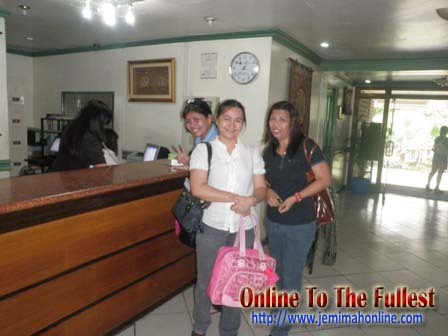 UP hotel reception with Pinay Mommies (PMC) Ruby, Jem and Cielo. When we get back to the Malcom Hall for the continuation of the iblog summit, we found out that the UP hotel is truly near the Malcom Hall. We found ourselves laughing at one another because we’ve learned the short way. At the end of the summit, I also met Karen introduced by Mommy Divine I have a fun day with the Pinay Mommies (PMC). I hope to meet more members on the Grand Eyeball this coming Sunday. 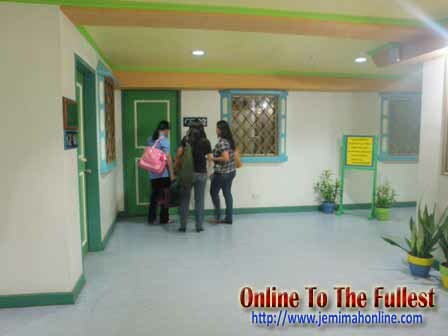 This entry was posted in Internet and blogging, Places and tagged I met Mommy Ruby, iblog7, pinay mommies community member who attended iblog7, Pinay mommies community members, UP hotel, UP hotel room. Bookmark the permalink. waahhh…eto na nag sisimula ng kumalat ang mga mukha ko bwahah…thanks a lot sis.until now i cant get over laughing about it if naaalala ko hayz!! hehe..see you at the EB yayy.. I am so happy to meet you sis. yay! good to see you mommies..i only knew mommy rubz 😀 hope to know other mommies there 😀 enjoy! wow! buti pa kayo! nakaka-inggit naman kayo… haaaay! sana may EB pa next time… have fun mga mommies! Ay kakainggit! heheh! Am glad you guys already met! God bless! Hahaha… Para tayong bata promise. Hinde ko akalain na ganon pala kayo ka fun in real life. Waaaahhhh!!! wow. see you tomorrow mga sis.. what time kayo nandoon? ay galing naman … mamaya grand eb naman if pwede lang sana ako … maybe next time ..